Gambling is a cultural practice defined by chance or what the ancient Greeks called alea. As such, gamblers have little or no control over the outcome. It is important to keep this undeniable fact in mind when spending a few bucks in a bricks-and-mortar or online casino. Unpredictability is just one element that makes gambling fun, right? But it’s not so much fun when the odds are not in your favor and winning becomes an obsession (a recreational gambler with the right gambling mentality remembers not to chase his losses). While some forms of gambling, like poker (either online or in a traditional venue), require some level of skill in bluffing and reading other players, most forms of gambling are purely defined by chance. This means that whatever control you think you have over the outcome is merely an illusion. 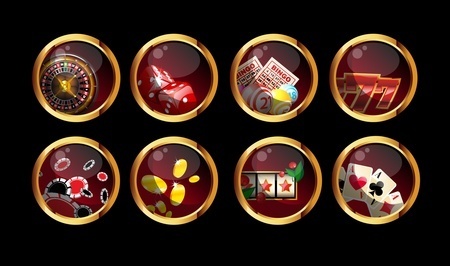 Games of pure chance include roulette, slot machines and bingo. There are two ways chance outcomes are produced in contemporary gambling: mechanically and digitally. Traditional roulette, for example, involves mechanical actions to define where a ball falls on the wheel. Similarly, the outcomes in old-fashioned slot machines depended on the aleatory spinning of the reels. Currently, many gambling forms produce random events digitally. Digital slot machines and games in online casinos work with an algorithm called Random Number Generator (RNG). The RNG produces an aleatory outcome. The most established and reputable online casinos have industry certifications that guarantee that RNGs work properly and fairly. Which gives gamblers peace of mind. Before you hit the casino floor or log in to play online, it is important that you understand the odds or the gambling probability, that you will get a favorable outcome. One very important thing to keep in mind: playing time and time again does not necessarily increase your possibilities of winning. The odds work per game. For example, if you are playing the slots, the possibilities to win in your first spin are exactly the same as the probabilities in the 100th. The standard wheel (either digital or mechanical) has 38 slots, from numbers 1 to 36, a 0 and a 00. These are divided un colours as follows: slots 0, 00 are green; slots 1, 3, 5, 7, 9, 12, 14, 16, 18, 19, 21, 23, 25, 27, 30, 32, 34, 36 are red; slots 2, 4, 6, 8, 10, 11, 13, 15, 17, 20, 22, 24, 26, 28, 29, 31, 33, 35 are black. You can do a straight bet and put your money on a single number. Which means that you will have a 1/38 possibility of winning, which is just over 2.5%. This bet would pay 35:1. A two-number or split bet means that you bet on two numbers on the table, which pays 17:1, with a probability of winning of 5.26%. If you bet on six numbers, your probability increases to 15.79%. Other simpler bets include putting money on a colour with a probability of 47.37% or on even or odd numbers (47.37% as well). This table is quite useful. Also called “pokies” in Australia or New Zealand. Many gamblers think they have some form of control over slot machines. Well, they are wrong. If a machine is fair, outcomes will be totally aleatory and it really doesn’t matter h ow much money you’ve put into a particular slot machine. There are two main types of games: 3-reel-single-line games and 5-reel-25-line games. The Random Number Generator chooses a random number for each reel and stop the reel there. The odds depend from model to model and the chances of hitting the jackpot are minimal. There are thousands of possible combinations (here’s a good example). Some argue that in a 3-reel game, the chances of the three reels aligning on the jackpot stop are 1/262,144. This is one of the most widely played games in the world. The odds of winning Bingo depend on how many participants are in the game. Since the game ends when there is a winner, the odds are calculated by dividing the number of cards you bought by the number of total cards in the room. Of course, you have better odds if you buy more cards, but remember to set yourself a limit. That is why it is good to avoid big crowds when playing. Remember that there are no “cold” or “hot” numbers. Each number has the exact same probability of appearing as any other number. « Will Bitcoin Change Online Gambling?